Team Tilt lined up with 10 Decision 35 multihulls last weekend on the Club Nautique de Versoix start line for the opening regatta of the second half of the Vulcain Trophy championship season. With a new crew configuration, the young team was very happy to post a 6th place overall after a challenging two-day event. 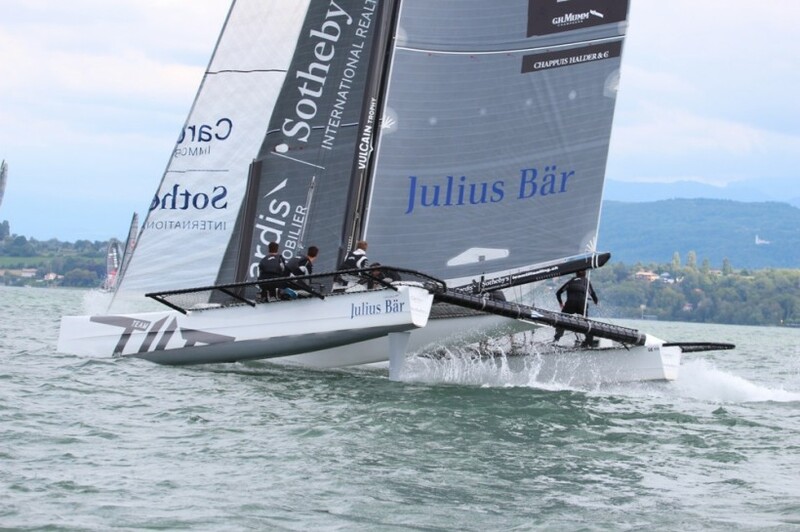 Alinghi won the Open Nationale Suisse, ahead of Mobimo and Zen Too. With a good week of training behind them, Team Tilt is ready for the Grand Prix Grange & Cie this coming weekend (6-7 September).